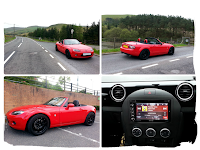 Will's MX-5 is a 2008 2.0 Sport model equipped with the optional Bose stereo and climate control. 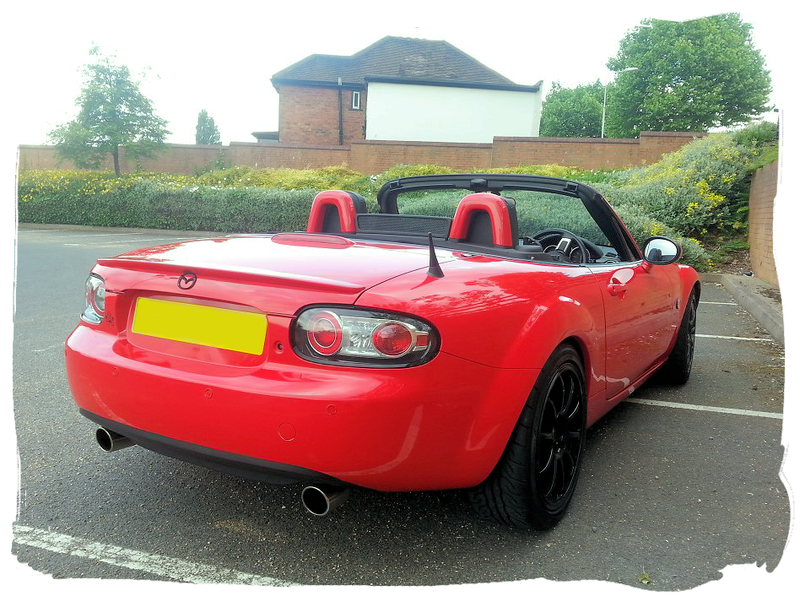 The car is finished in red with black contrasting parts - a colour scheme used on several of Mazda's own special editions. There have been several modifications both for aesthetic and performance gains over standard so let's take a closer look. 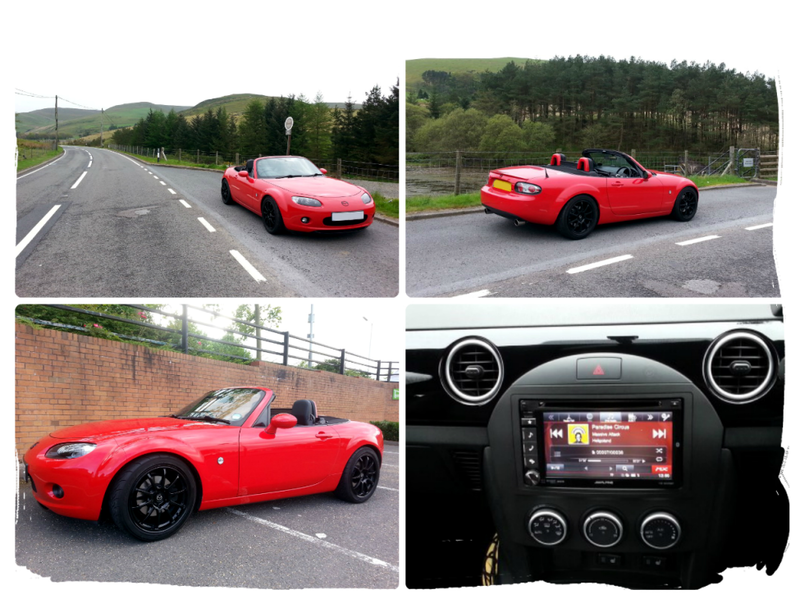 Starting with the exterior, Will has fitted a set of ten-spoke 17"x8 Rota Force alloy wheels in a gloss black finish. These wheels work really well with the True Red. The contrast theme continues with gloss black Mazda badges to the front & rear. 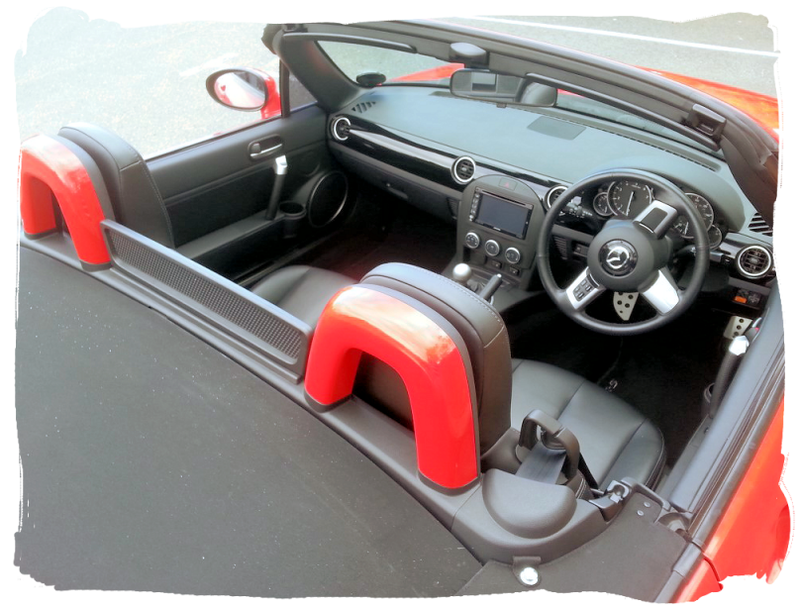 There are colour coded roll bar trim pieces to help the car standout when the roof is down and make a nice change from the usual silver. The rear of the car gets a Mazda factory option rear lip spoiler and a stubby radio antenna. The headlights have also seen some work to create a custom look. Will had sourced some USA-spec lights with the clear indicator lens and paired them with a black painted inner trim piece and 5000K HID bulbs. These clear lenses were available on the Niseko and ZSport headlights but they are not exactly common. The standard orange side repeaters have been replaced with clear versions to complete this subtle change. The car's performance and handling have been given several upgrades. 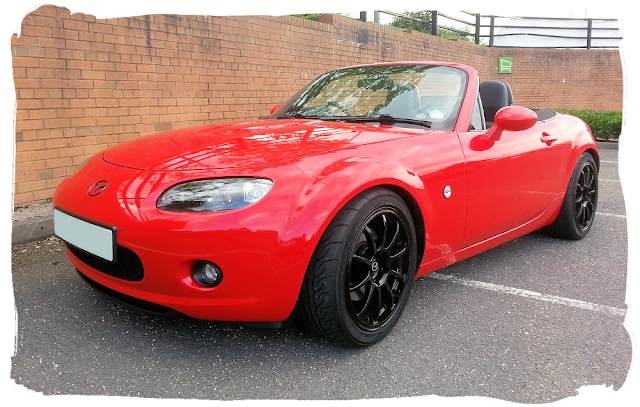 Mazda's standard exhaust system has been completely replaced with a Racing Beat manifold, 200 cell sports catalytic converter and Milltek rear section. The intake has been replaced with the AEM/Mazdaspeed kit which helps get more cold air to the engine. 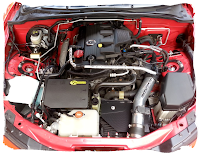 To make the most of these upgrades, an EcuTek remap was performed by Clive at Autotronix resulting in more power and improved throttle response over the standard car. Under the bonnet you'll also find a custom ECU cover, Mazdaspeed oil cap, HKS uprated coolant cap, and a brake cylinder brace from Beatrush. Handling improvements are provided by Advan AD08R tyres, Meister-R adjustable suspension with alignment setup by Roddison's Motorsport, and uprated anti-roll bars from Cobalt. The car's stopping power has been increased thanks to new Stoptech discs, HEL braided lines, and Cosworth Streetmaster pads. Moving to the interior, Will has fitted an Alpine stereo that uses the Bose amplifier, a leather instrument cowl cover, new leather gaiters and door handle covers, a variety of IL Motorsport trim pieces, and a heavyweight gearknob by TWM Performance.